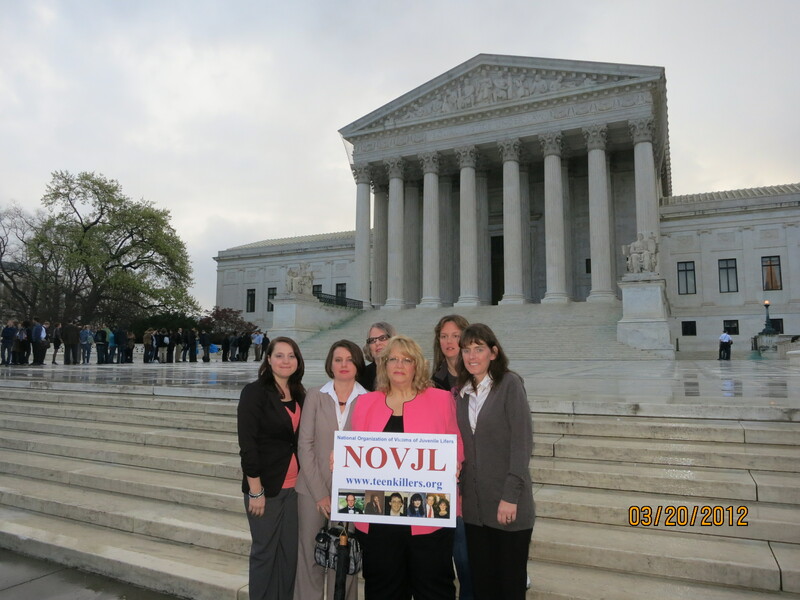 NOVJL was formed by victims families of those killed by teens to keep each other informed about developing public policy issues regarding the prison sentences of those who murdered our loved ones. We became aware in 2006 of a well-funded national effort to retroactively undo these legally finalized prison sentences given to the killers in our family’s cases. One of the first things we did was have our NOVJL leadership contact (repeatedly, gently, persistently, for years!) the advocates for the offenders. At first we were greeted cordially, with token promises of on-going dialogue. One of our co-founders had many meetings, on the phone and in person with these advocates. She already had an established relationship with criminal justice reformers as having long been one herself. We thought this would work to shape an INCLUSIVE role for victims in the years that followed as a part of their advocacy effort to reform juvenile justice sentencing in this nation. It did not take long before the cordial token communications became dead silence, where they remain to this day. 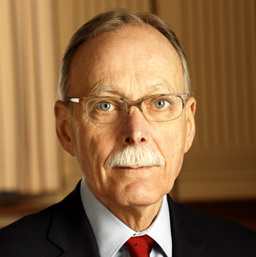 This we do not understand – being treated like adversaries, kept from being at the table in the policy efforts around juvenile justice sentencing reform. Being treated like opponents rather than as the key stakeholders to a tragic issue that we are. 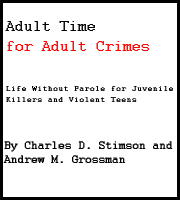 This website is filled with information about the policy debate on long term sentences for those who kill before they turn 18. We ask for truth telling about the cases. We ask for victims rights (law in all 50 states and federally) to be informed of, present in, and heard in our cases to be respected by these advocates. We urge all those interested in this issue to ask Human Rights Watch and other advocates for the offenders WHY they are pushing away so cruelly a real dialogue with affected victims families? Their clear decision was to find some victims who agreed with them, put those very few families forward in their PR, and say, okay we do not have to talk to any more victims families. WHY THE FOCUS ON THE KILLERS? We understand the funding realities that drive the heavy staffing, legal and PR push to end juvenile life sentences. Our culture seems endlessly fascinated by killers, especially younger ones; most often to the exclusion of the victims, the consequences, and the damage done in “glorifying” and bring attention to evil behavior. We do not need to add to that problem here – it is all over the internet. The number of websites that are posted in support of and sympathy for teen killers, all excusing them for being “kids”, is troubling. We have yet to see one that admits to their guilt or to the horrors of the crimes. Anyone who TRULY cares for someone who has killed another human being must start and end their work with this offender by urging full responsibility for the crime and a complete embrace of the tragedy that has been forcibly imposed on the surviving loved ones of the victim. Government/taxpayer monies go to provide significant resources for juvenile offenders, and those same agencies do nothing to reach out to or include the victims of those crimes in their work in policy and practice. 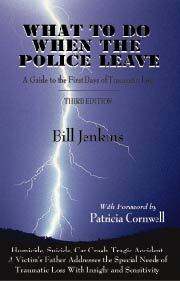 Examples include the OJJPD and the National Center for Youth in Custody . NOVJL believes that these significant public monies should be expended on policy work for juvenile offenders ONLY if it includes victim policy and advocacy as part of that work. Because it IS part of that work. Also, there are many YouTube videos, blogs, petition sites, and websites devoted to the killers themselves, “fan pages” so to speak. Some are put up by family, others by advocates against juvenile life without parole, or just those fascinated by murderers. In this book about a teen killer written by the Mother of the convicted murderer, she opens the book not with sorrow and regret over the horrific murder of Cassie Stoddart, but with her insistence that Cassie is not the only victim – that SHE IS, too! Its hard for us to be polite in addressing how clueless this understandably devastated mother appears to be. We can only invite her to contact us and we will explain how we think she could have better served her son’s best interests – by taking a more responsible tone and reaching out to victims first. There are few words we could say that could adequately express our revulsion over anyone that would put up a website like this. And there are many of them. Some of them even have romantic and affectionate messages on them to the convicted murderers. With one voice, we ask everyone to PLEASE STOP all these kinds of offender-glorifying activities. People who kill people and are imprisoned should remain as anonymous as possible out of respect for the victims families and to stand in condemnation for the crime of murder. We would strongly support any offenders’ families, to whom our hearts often go out, in their efforts to help the offender take responsibility and work to turn their lives around. We especially would like to partner with them in efforts to allow restitution to be made to victims families and for violence prevention. Important information about Propaganda Campaigns about Teen Killers . Reform advocates always have legitimate work to do in advocating for improvements in any human institution. Prison Reform advocates are often well-intentioned, caring, and even noble people. However, anyone advocating for a change in policy regarding the sentencing of teen murderers, or any murderers, should not take an offender-glorifying propaganda approach in their messaging. First, it deeply re-injures already devastated victims families. Second, it actually encourages other youthful offenders to try violent crime. And finally, it does not work as a strategy to endear the public, which recognizes the need to protect itself from murderers. Juvenile advocates should take a lesson from the death penalty abolition movement which learned finally to stop talking about the “poor killers on death row” and began talking about victims, cost, and practical legal concerns. If advocates are not motivated by strategic considerations, they should be motivated by sensitivity to victims families. We officially and formally demand that all advocates against Juvenile Life Without Parole JLWOP sentences stop LYING about the facts of the issue in order to try to accomplish their goal. They put out bizarre and hurtful propaganda. They lie before the media and state legislatures in California and Colorado. They even lie to some murder victims family members. They claim to be human rights advocates but they hurt innocent and devastated victims families in HOW they talk about the issue and how they campaign for their legislation, and yet they do not seem to care at all. They have compassion for convicted murderers, but not, apparently, for us. But in other publications, including Amnesty International’s annual reports, these statements are contradicted. Plus, the only significant research to count these JLWOP offenders in the USA that was done – see http://s3.amazonaws.com/thf_media/2009/pdf/sr0065.pdf#page=20 these numbers were shown to be false. We would like to ask that you stop publicizing specific numbers of these cases until you can actually prove the source and show that to the public. We recommend, in the name of rational and fact-based public policy discussion, that you say “well over a thousand” or “many” or something similar. The Heritage Foundation’s actual count state by state, with actual numbers from state attorney generals show more than 1300 cases. Only 6 states did not respond, so the number might be as high as 1500, but certainly not much more than that. The repeated publication of false numbers continues to be a VERY sore spot for victims of these crimes. Unless you can provide proof as to the actual names of these cases, please desist in these kinds of false estimates. Let me know what your response is to this. We frequently see phrases in the advocacy from juvenile activists on behalf of those who murdered our loved ones that are both inaccurate and hurtful. Such talking points “children sentenced to DIE in prison” and “Life Without Parole – the OTHER death penalty” are both deceptively wrong as well as deeply divisive. 1. Most “lifers” have killed someone, several someones, or helped to do so. They gave their victims the only real “death sentence” in this conversation. and a person who is dead negates the life being lived by the person living it, even if behind bars. Further, such reasoning actually enters us into the brave new world of George Orwell’s powerfully important novel 1984 where alive means dead, peace means war, and lies mean truth. Orwell called this “newspeak” -a concept that evoked a death of the human mind when facts are no longer the truth, and words can no longer be relied on to mean what they mean. 4. It causes difficulty for the very dedicated human rights advocates who are working their tails off to abolish the death penalty and to the inmates awaiting very real pending execution. Politically it is a deal breaker and positioning wise it is riding on coattails that you did not earn. Those who genuinely seek abolition of the death penalty will be clear about the differences between execution and life sentences. Lawmakers will. The public will and does. We won’t even go into the insulting list of things that differentiate the offender who still has a life behind bars from their deceased victims . . . things that include in many states marriage and parenting, family visits, college educations, publishing, writing creating, loving, laughing, experiencing joy and sorrow, being full after a meal, physical pleasure, happiness, …etc. We are all living our lives under the metaphorical sentence of death. What brings meaning to all of our lives is what we choose to do with each of those days we are given. What inspires us sometimes are the inmates who have chosen to make a real difference for good with their circumstances. We are sure some of those inspirational prisoners would be as offended as we are and as other victims are by this ridiculous comparison between their dead innocent victims whose lives were ripped away from them and having to live a confined life as a result of that action. Those who are lazily borrowing of death penalty abolition language for work against LWOP are overreaching to make a case that obviously can’t survive on its own merits, and actually demonstrating painful insensitivity to victims families who have suffered REAL death. Please everyone, let’s work to bring real sensitivity to murder victims family members and death row families while working for the prison reform you seek.